Heel spurs aren't just found on cowboy boots anymore. To spur someone on is to urge them onward or to encourage them. Here at the office of Dr. Michael Stein and Zeindelin Ahmad, DPM, we're spurring you on! Take control of your foot health. Heel spurs aren't a burden you have to live with. Don't sit complacently with pain—giddyup! A spur is actually a bump caused by a calcium deposit on the bottom of the heel bone. The calcification process takes place over a period of several months. When complete, some protrusions can extend toward your toes as much as half an inch! They form where the plantar fascia, the fibrous band of connective tissue that runs along the sole of the foot, connects to the heel bone. The deposit itself is often painless, but it can cause generalized heel pain and is frequently associated with the condition plantar fasciitis. The answer is yes. As your foot moves about, the spur will poke and prod into the soft tissues surrounding it, causing discomfort. The pain can be intermittent or chronic, especially while walking, jogging, or running. The formation of a spur will lead to irritation and inflammation at the source of the projection. Many individuals will describe the pain as feeling as if a knife or pin is stuck to the bottom of their foot. This pain is especially strong in the morning directly upon waking and tends to subside gradually as the day goes on. A sharp pain may often reappear after a period of prolonged sitting and upon the first steps after standing. Gait abnormalities that place stress on the heel bone, ligaments, and nerves surrounding the area. Running or jogging on hard surfaces. Poorly fitted footwear, especially those lacking arch support. Excessive weight gain and obesity. 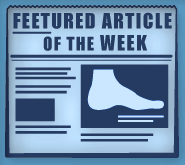 A decrease in the flexibility of the plantar fascia and thinning of the heel's protective layer, due to an increase in age. Spending long hours on your feet. Short, but frequent, bursts of physical activity. If you've been experiencing heel pain and you're not sure why, it's time to visit The Foot Doctor of the East Bay. We'll evaluate your situation and take X-rays, if need be. We offer several treatment options ranging from focused exercises and stretches, anti-inflammatory medications, and cortisone injections, to custom orthotics. Depending on the severity of your condition, you may also require surgical intervention. Make an appointment with Foot Doctor of the East Bay today! Call (510) 483-3390 or make an appointment online. We have offices located in San Leandro, Los Gatos, and Pleasanton for your convenience.